Students’ viewing patterns point the way to more effective hybrid instruction. The hybrid course format, which teaches students through a combination of online videos and face-to-face instruction, has gained popularity in the engineering education community over the past few years. For faculty members to produce engaging experiences that ultimately improve student outcomes, it is important to understand how students use the required videos. This study examined the video-viewing behavior and reasons for deciding to watch or not watch videos among students in a sophomore-level Mechanics of Materials (MoM) course. Two types of videos were developed for the course, which covered 34 topics over a 16-week semester: lecture videos and example problem/solution videos. The lecture videos provided overviews and rationales for topics, fundamental concepts, relevant theories, applied assumptions, and equations needed to solve solid mechanics problems. Example problem/solution videos presented systematic approaches students can use to solve solid mechanics problems. The 165 engineering students in the course were asked to watch the assigned videos prior to coming to class. Results from descriptive and correlation analyses showed that students’ average viewing time per video was over eight minutes (80 percent of the total length) for lecture videos and four minutes (77 percent of the total length) for the example problem/solution videos. The number of times played and the percentage of completed views for each video was the same for videos lasting one minute or 22 minutes. Videos covering difficult topics were played more often. The number of views began to increase two days before exams, with the highest number of views occurring on exam days. Findings from inductive analysis using students’ open-ended written responses indicated that students watched videos to understand and clarify concepts, prepare questions to ask in class, complete in-class assignments and homework, and review for exams. 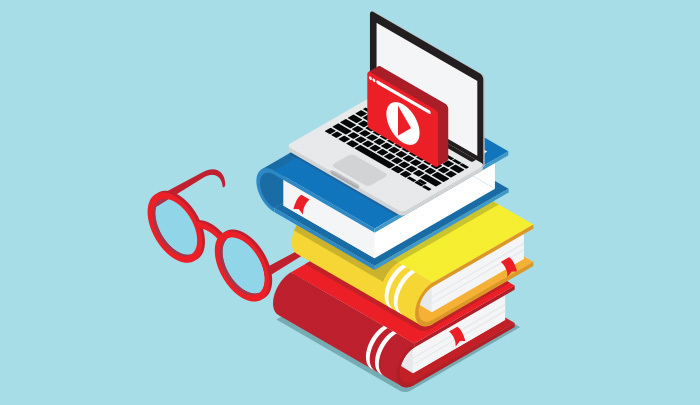 Reasons given for not watching videos included difficulty concentrating when watching long videos, insufficient details in the videos to learn materials in depth, different preferred styles of learning, and information overload in a short amount of time. Based on this study, we suggest five strategies for creating effective videos in required sophomore-level large-enrollment engineering courses. First, create separate videos for lectures and example problems for each topic covered in the course. This approach allows students to take breaks from either lecture or example problem videos. They know what to expect when they play a video and can decide which videos to play depending on their needs. The approach also allows faculty members to produce shorter videos and add example problem videos as needed. Second, educate students early in the semester about the purpose of the videos to ensure that their expectations are in line with the video contents. In this course, the lecture videos were not intended to cover textbook content or derive equations but rather to motivate students to learn a topic, provide a topic overview, and show the key concepts necessary for solving problems. Third, create one video for each example problem and ensure that it explains important concepts and offers a detailed approach to solving the problem. Students prefer example videos that explain why certain equations are appropriate for a given problem, clarify assumptions that have been made, and describe how a problem resembles or is dissimilar to previously discussed problems. Fourth, keep an eye on the number of plays for each video throughout the semester. Doing so allows instructors to detect what is confusing or interesting to students and decide whether and how to make course adjustments. They might, for instance, provide additional example problem/solution videos, spend more time explaining concepts in class, or give additional in-class example problems. Fifth, provide quizzes as incentives for students to watch videos. In this course, short in-class concept-check quizzes accounted for 3 percent of the final grade, which encouraged students to watch videos before classes. The quizzes in combination with videos allowed for rich discussions early in the class period. These led nicely into the class’s mini-lecture or in-class assignments. Benjamin Ahn is an assistant professor of aerospace engineering at Iowa State University, where Devayan Bir is a Ph.D. student in aerospace engineering. This article is excerpted from “Student Interactions With Online Videos in a Large Hybrid Mechanics of Materials Course” in the Spring 2018 Advances in Engineering Education.